What does Trump mean for American casinos? In one of the most unexpected moments of 2016, Donald Trump won the American presidency while losing the popular vote. 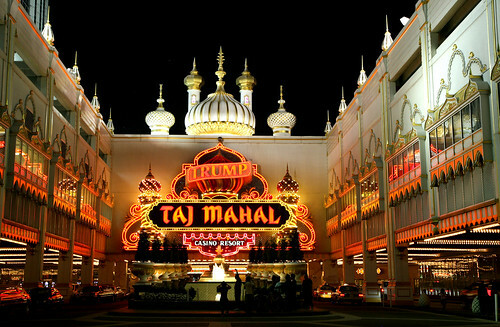 Many people who voted for him were impressed by his business acumen from running high-earning casinos. Here’s a look at Trump and casinos – from the ones he’s put his names on to the ways he could change them in the future. A lot of this is speculative, as we’re in very uncertain waters. But if you do need a bit of certainty, then Lucky Nugget Casino is still always here for you. Trump’s name was famous before he even became the president: in cities all over America, there are hotels, casinos and skyscrapers with his name emblazoned on them. It has been associated with opulence and decadence, and the businesses attached to it have been decorated lavishly. But it’s clear that the people who supported Trump most strongly – the white working- and middle-class, who are upset over disappearing jobs – don’t have the income to visit his properties. There have been many highly-publicized accounts of how poorly Trump ran his casinos. He often acted in morally dubious ways – for instance, encouraging employees to invest retirement savings in company stock and sell it for huge losses when the business went bankrupt. And he only paid one-sixth of the debt he owed on his Atlantic City properties, paying $5 million instead of the $30 million he owed. The past year has also seen the number of people visiting his properties declining. Bookings at Trump hotels were down 59% year-on-year. There is a chance that Trump’s outspoken presidential campaign has permanently damaged his reputation, especially among the demographics who once visited his properties. The casinos may instead turn marketing efforts to attracting rich tourists, as high-rollers would almost certainly love to gamble at the President’s own properties. For instance, gambling is illegal in Russia. However, Trump and Putin already look set to develop a cozy international relationship. One result of this could be that increased numbers of Russian tourists come to gamble at Trump Casinos, as they have the implicit blessing of the Russian president. But the Trump name could also work the other way, making tourists from other countries less likely to visit. His adversarial stance towards China, for instance, could dissuade wealthy Chinese tourists from gambling at Trump properties – or even put them off visiting American casinos entirely. 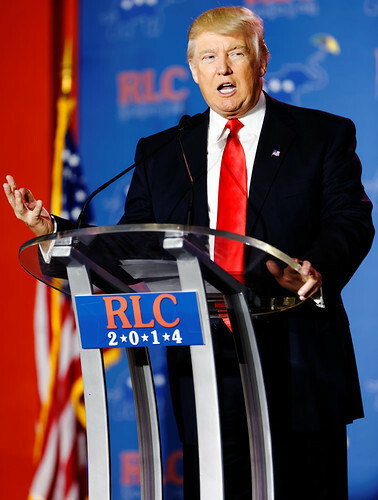 Trump has long been accused of flip-flopping on his stances. Indeed, if you look far enough back, he’s held contrary positions on almost everything. But one thing he is always consistent on is treating politics as a business, and it’s clear that his gaming history has shaped his core beliefs on taxes, trade and government. Part of Trump Casinos’ success was caused by creating a monopoly on the market and stifling competition – buying out competing businesses, and trying to ensure nobody else could start new businesses that took away his market share. These tactics have clearly influenced his current proposed economic policy, which would see America impose trade tariffs to try and force better trade deals with other countries. His rhetoric often emphasizes winners and losers, in the same way that veteran gamblers see everyone as either winning or losing. Thanks to a history of exploiting people he considered weaker than himself – like investors and contractors, both of whom he bankrupted – a Trump presidency may be characterized by aggressive and manipulative foreign policy. It’s clear that his time in the casino industry has affected Trump’s thought process. However, his ideas on how to make America great again may need some fine-tuning: the US can’t be run the same way as an aggressive business. Countries tend to want allies rather than enemies, and being ruthless in negotiating trade deals could result in many unpleasant consequences. His aggressive tactics mean that he will be going into the White House with about 75 different lawsuits pending against him. Many of these are related to his business practices, and he stands accused on fraud and unlawful firing among other offenses. But Trump supporters argue that these court cases are just the result of being a successful businessman. It’s still too early to know what will happen to America under a Trump presidency. The stock market is also unsure of how to react – stocks in healthcare have plummeted, but shares in arms manufacturers have responded by increasing dramatically. Thanks to his links with the gaming industry, casino shares may also see rises as Trump takes over the White House. Depending on the legislation which passes Congress – which is also held by Republicans – the casino industry could see more changes: denial of competition, changes to licensing, or many other moves which the industry could push for. Trump may well want to draft legislation which would help him personally as a businessman. While the President cannot introduce any legislation to Congress (which must be done by a member of the House of Representatives), the position holds a lot of influence. President Obama was integral to the Affordable Care Act being written and passed, which is why it’s nicknamed “Obamacare”. There’s also the fact that the only major newspaper in the US who endorsed Trump, the Las Vegas Review-Journal, is owned by casino magnate Sheldon Adelson. He was also the largest donor to Trump’s presidential campaign. This means that Trump may be willing to listen to Adelson’s policy ideas, or push for legislation that would help the businesses. The gambling industry is the single highest-earning source of recreational revenue in America. If money talks, then casinos shout. There is little chance of their political stock falling in the next four years, and if anything the industry may see huge growth. However a Trump presidency ends up going, it’s probably good news for his casinos and the American gambling industry in general. Whether that translates into being good news for the people doing the gaming remains another question.